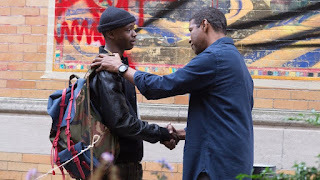 The Equalizer 2 picks up where we left off, with Robert McCall (Denzel Washington) continuing on his path of helping those less fortunate who cannot fend for themselves. This time his escapades even take him international as he heads to Turkey to rescue a child that has been kidnapped. During the day McCall is a Lyft driver in Boston, observing the different types of people that he crosses paths with – all of them who don’t think twice about the mostly quiet and caring person behind the wheel. Any of the people that enter McCall’s life, no matter how quickly or inconsequentially, may be someone he ends up helping if he feels they need it. It is interesting to see the effects that McCall has on so many people and him wanting no credit for his good deeds – except for the occasional 5 star Lyft rating. McCall has spent a lot of time and energy trying to bury his past. So much so that Susan (Melissa Leo) and her husband Brian (Bill Pullman) are really his only friends and the only link to the past that he is trying to outrun. When an agent from McCall’s old company ends up killed in a murder-suicide, Susan and McCall’s old partner Dave (Pedro Pascal) go to Belgium to investigate. Unfortunately things go south and Susan ends up killed herself. McCall puts everything else to the side to try and track down her killers and reaches out to Dave for help – unearthing the past that he has tried so hard to distance himself from. As the film progresses we hear constant updates from television and radio about the impending storm that is gaining ferocity. McCall mirrors that storm as he takes out all the stops to find out who murdered Susan. 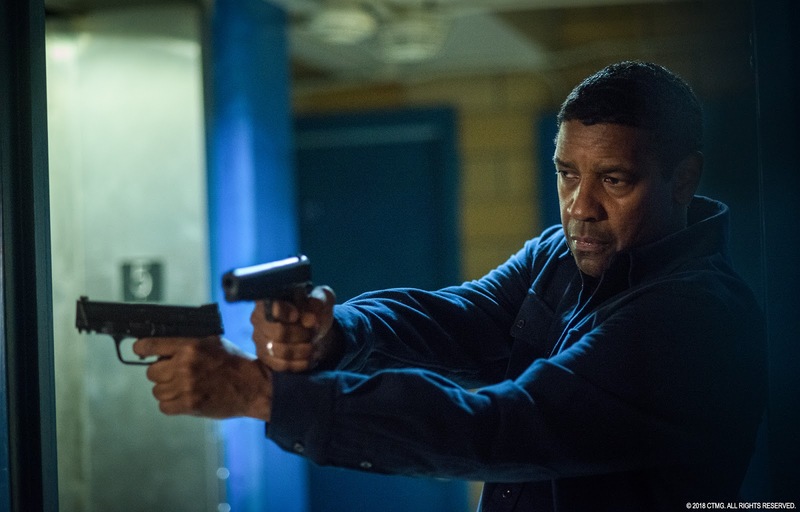 The action in The Equalizer 2 is pretty spread out – but when we do get some it is mostly top notch. It is great to see the same hard hitting McCall back on the big screen and righting wrongs with ruthless precision. Denzel is fantastic as usual, delivering quick lines both to inspire those around him as well as strike fear in his adversaries. After The Equalizer I was very excited for the second and even more so when I found out that Antoine Fuqua was returning to direct the sequel. Even though I thought The Equalizer would have been perfectly fine standing on its own, I admit I was looking forward to seeing McCall back on the big screen. However, as great of a character as he is and as solid of a performance Denzel puts in, neither are enough to truly save The Equalizer 2 from numerous pitfalls and plotholes. The film takes too long to really get going and it never really finds its footing – a stark contrast from the first film in the franchise. I really do wish The Equalizer 2 was able to replicate the magic from The Equalizer, but instead we get to see a great performance by Denzel wasted on a mediocre movie. The Equalizer 2 isn’t the worst choice for a matinee or waiting until Redbox, or instead just rewatch the first film a few more times and bask in its glory.